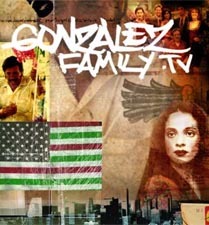 Get the inside story of the Gonzalez clan. Cisco, the youngest sibling in the Gonzalez family, is something of an electronic artist. In his online journal, he posts eye-catching, interactive pieces that reflect his personal take on the family's experiences. Move your mouse over the titles to see a representative image and description of each journal section. Once you're ready, enter the journal by clicking here.